A plethora of candidates filed to run for House seats in Pennsylvania, setting up intra-party contests in some key races that could help determine control of the lower chamber of Congress — including primary challenges for Democrat Conor Lamb and Republican Rick Saccone. Lamb and Saccone filed to run in different districts than the 18th Congressional District – which held a closely-watched special election last week. Less than 1,000 votes separate the candidates and the results have not been certified. Instead, Lamb filed to run in the 17th Congressional District, where his hometown of Mt. Lebanon was moved to under the new House map. Republican Rep. Keith Rothfus holds that seat and has $1.2 million in his campaign account. Meanwhile, Saccone filed to run in the 14th Congressional District, which holds a lot of the 18th’s original acreage and is much friendlier to Republicans than the district in which his hometown of Elizabeth was placed. The new 14th Congressional District has no sitting incumbent. Its area mainly consists of the seat that former Rep. Tim Murphy held before he resigned after a report that he allegedly asked an extramarital lover to end her pregnancy. But both men will face something they didn’t in their last election – primary contests. 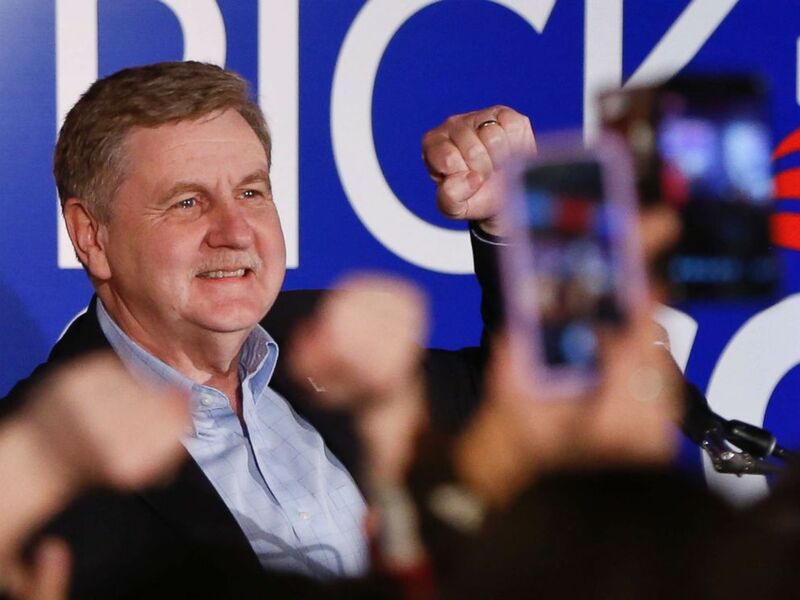 Republican Rick Saccone pumps his fist as he thanks supporters at the party watching the returns for a special election being held for the Pennsylvania 18th Congressional District, March 13, 2018 in McKeesport, Pa.
Two other Democrats filed to run against Lamb in the 17th Congressional District while one other Republican has filed to challenge Saccone in the 14th Congressional District, according to the Pennsylvania Secretary of State’s website. Both men would be favored to win their respective contests in the May 15 primary given the national name recognition they received in last week’s special election. Tuesday was the filing deadline for House candidates in the state. On Monday, the U.S. Supreme Court denied a GOP-led request to hold off using a new House map that came after the state Supreme Court ruled the old map should be thrown out because it unconstitutionally favored Republicans. The court's decision was a blow to Republican hopes and a boost to Democratic chances of retaking control of the House of Representatives. Republicans currently hold 12 of the state's 18 congressional districts, while Democrats control just five. The special election last week for Pennsylvania’s 18th Congressional District was held under the old map. Political experts predict Democrats could net three to five House seats under the new map, helping them on their way to the 24 seats they need to retake control of the House of Representatives. 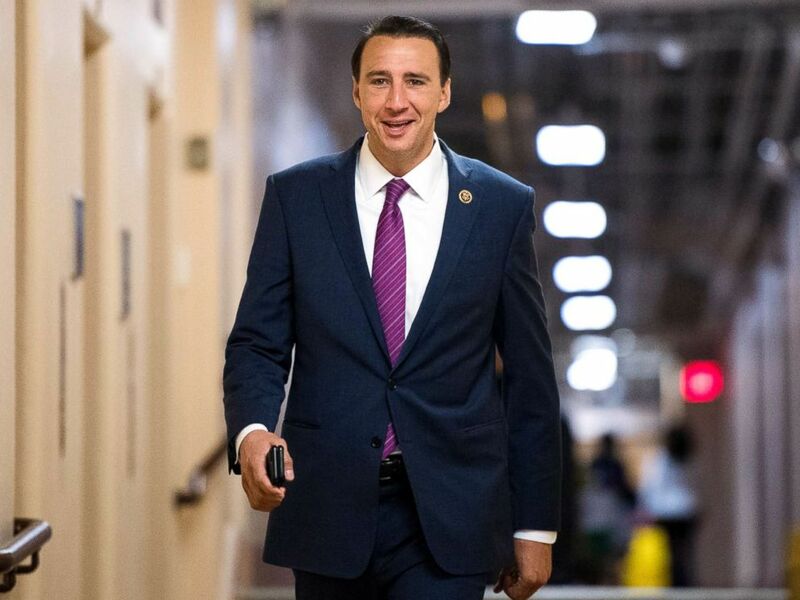 Rep. Ryan Costello, R-Pa., arrives for the House Republican Conference meeting in the Capitol on April 26, 2017. Several GOP lawmakers found their House districts dramatically affected by the new map, including Rep. Ryan Costello, who is considering retirement, several state, and national officials in GOP politics told ABC News. Costello did file his petition to run for reelection on Tuesday but, under the new map, his 6th Congressional District seat transformed from one that former Secretary of State Hillary Clinton won by one point in 2016 to one she would have won by nine points. A Costello campaign spokesperson told ABC News on Monday the congressman would file his petitions but neither the spokesperson nor Costello has said anything about campaigning again, leading to questions as to whether he will decide down the line not to run. He is seen as the GOP’s best hope for keeping that district. Democrats are enthusiastic about their candidate — Chrissy Houlahan — an Air Force veteran endorsed by former Vice President Joe Biden last week. She will be unopposed in her primary. In a move that could complicate matters, another Republican — Gregory Michael McCauley — filed petitions to run in Costello’s district. If Costello withdraws his petitions, McCauley would be the only GOPer on the primary ballot. If Costello decides not to run after the May 15 primary — assuming he wins the nomination — the state GOP would appoint a candidate to run in the general election, according to the state party’s bylaws. 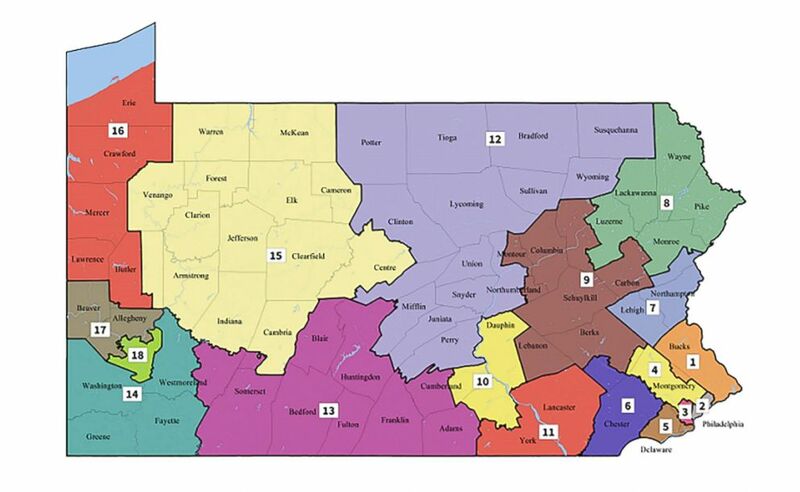 A new congressional map issued by The Pennsylvania Supreme Court. Three Democrats filed to run against Republican Rep. Brian Fitzpatrick, whose 1st Congressional District became slightly more favored by Democrats under the new lines. Democratic Rep. Brendan Boyle filed to run in the 2nd Congressional District, which contains about 50 percent of his old district. The other half of Boyle’s old district ended up in the new 4th Congressional District, where four Democrats and one Republican have filed to run. The big primary to watch will be in the 5th Congressional District, which is retiring Rep. Patrick Meehan’s old seat. A total of 14 Democrats filed to run in the primary while two Republicans filed. Retiring GOP Rep. Charlie Dent’s 7th Congressional District went from one Donald Trump won in 2016 to one Clinton would have won by one point under the new map. There are six Democrats and two Republicans who filed there. Democratic Rep. Matt Cartwright found himself in the GOP-leaning 8th Congressional District under the new map and three Republicans have filed to run in the primary for the right to take him on in November. In the 9th Congressional District, Republican Rep. Lou Barletta is running for Senate and three Republicans filed to replace him. The seat is considered solid Republican. And, as expected, Democratic Rep. Mike Doyle filed to run in the new 18th Congressional District, which saw its blue areas shored up under the new map and it contains much of his old district.